Troma Entertainment, the longest running truly independent studio in America, is proud to announce the art exhibit, “A Tribute to the Glory of Troma” presented by Hyaena Gallery in Burbank, CA. 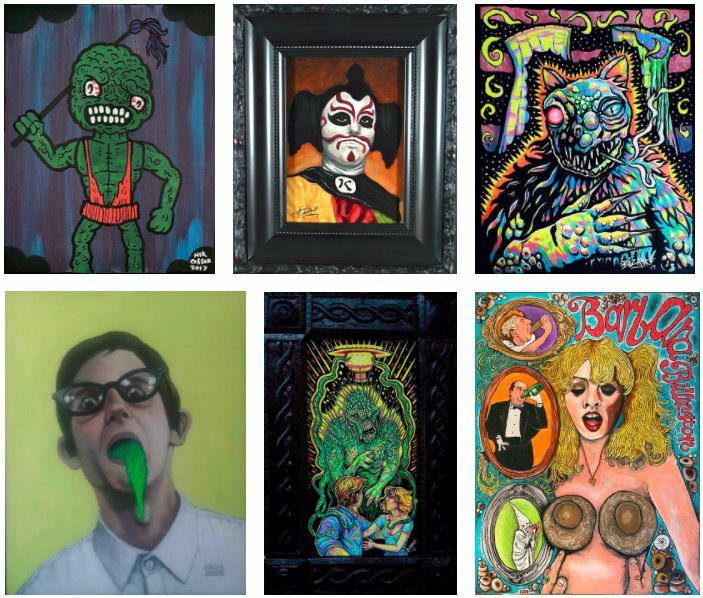 The TROMATIC exhibit will feature original works from over a dozen artists, all of which are inspired by the 43 year history of filmmaking by Lloyd Kaufman and Troma Entertainment. Hyaena Gallery will be presenting the exhibit from Dec. 1st through Dec. 31st and will be holding the opening reception on Saturday, Dec. 9th from 8pm to 11pm, it was announced today by Lloyd Kaufman, President of Troma Entertainment and creator of The Toxic Avenger. Visit HyaenaGallery.com for more info! Hyaena Gallery is located in Burbank, California with a specialty in macabre, low-brow and outsider art. This entry was posted on Friday, December 8th, 2017 at 1:15 pm	and is filed under News. You can follow any responses to this entry through the RSS 2.0 feed. You can leave a response, or trackback from your own site.